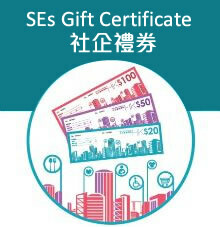 Good Goods Social Enterprise Concept Store is owned by HKCSS Social Enterprise Business Centre. Established in 2008, our business has been continuously supporting over 400 social enterprises (SEs) and their beneficiaries. collaborated with The Peninsula and local SEs to initiate GoodBuy Project. In the future, we will keep on promoting "Sustainable Consumption" by advocating the business sector to practise "Responsible Procurement" and encouraging the public to consume at social enterprises, so as to bring out social and environmental sustainability.